Mad Dog Comedy is an open mic comedy night that welcomes all skill levels from absolute beginners who have never touched a microphone before to jaded professionals who just want to feel something again. 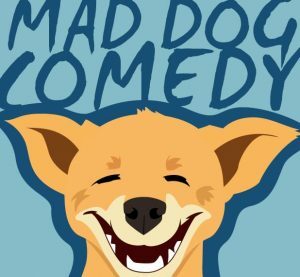 Mad Dog Comedy is held at Footscray’s Dancing Dog Cafe every Tuesday, and five-minute slots are available to anyone who signs up on the night. Entry is free! Signups open at around 7:30pm, the show kicks off at 8pm and finishes when we run out of comedians.